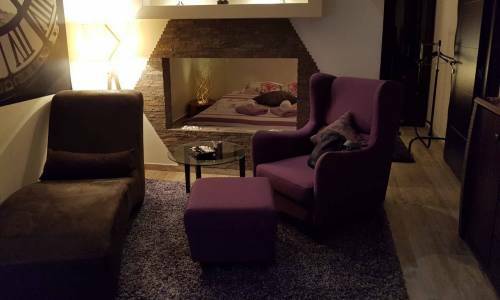 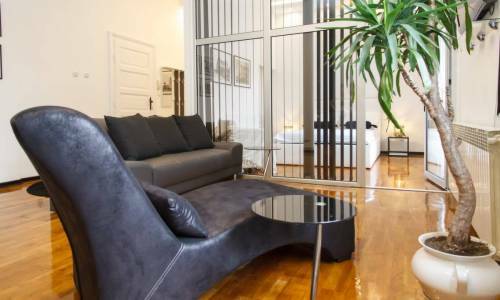 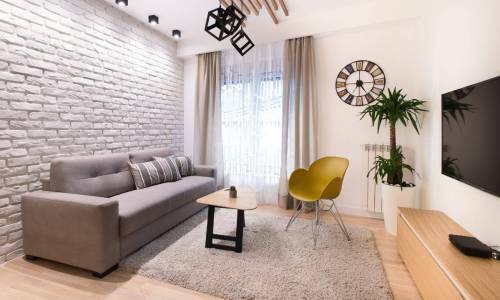 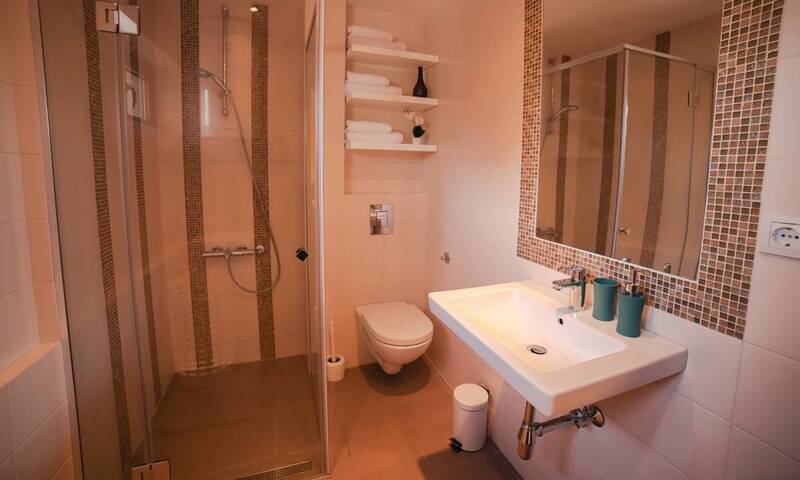 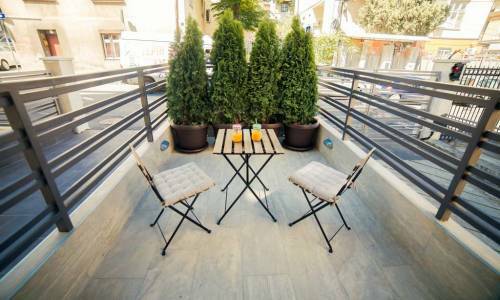 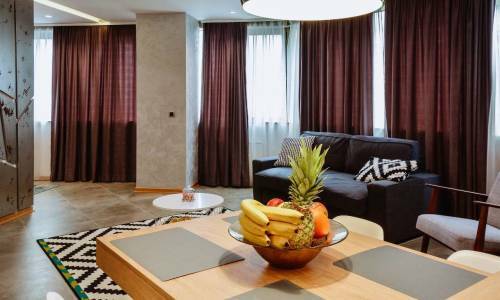 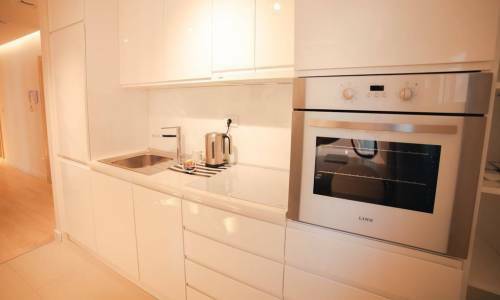 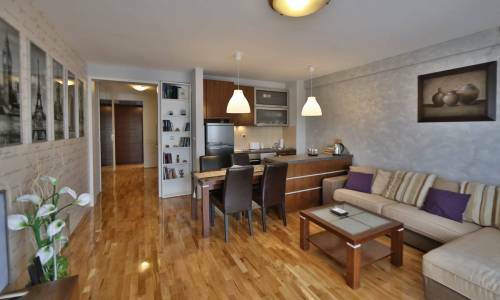 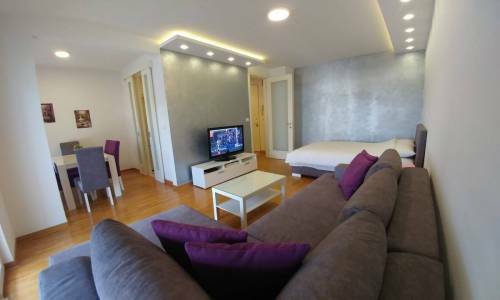 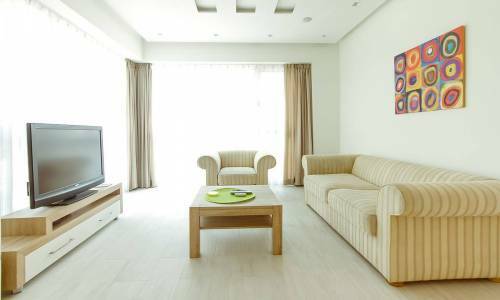 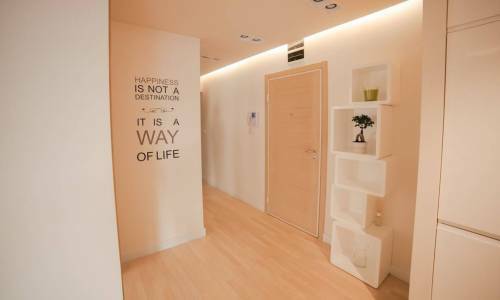 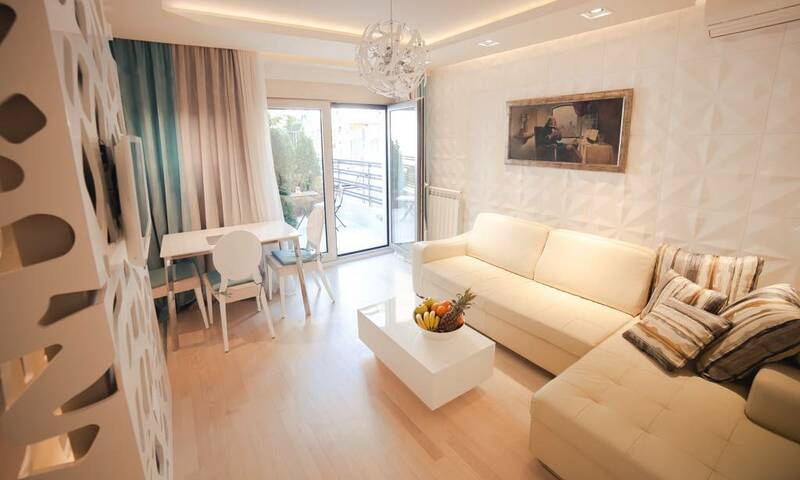 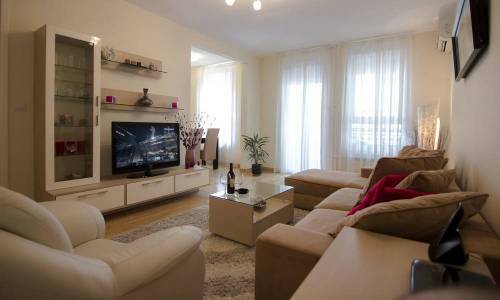 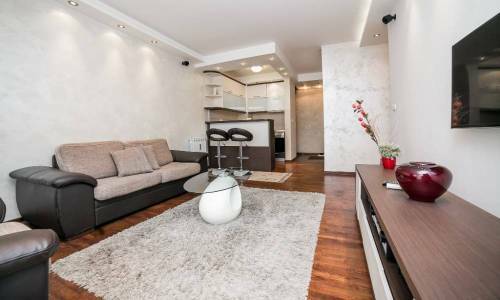 In a peaceful part of Vracar, and more specifically in Hadzi Milentijeva street, you can find a luxury and stylish apartment Happiness, including the garage and parking. 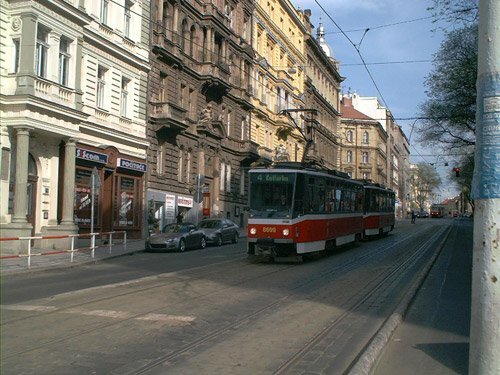 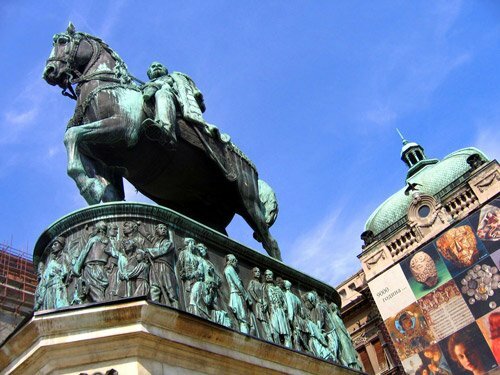 The advantages of Vracar area are numerous - this is one of the most beautiful Belgrade municipalities, offering interesting sites and special charm for its guests. 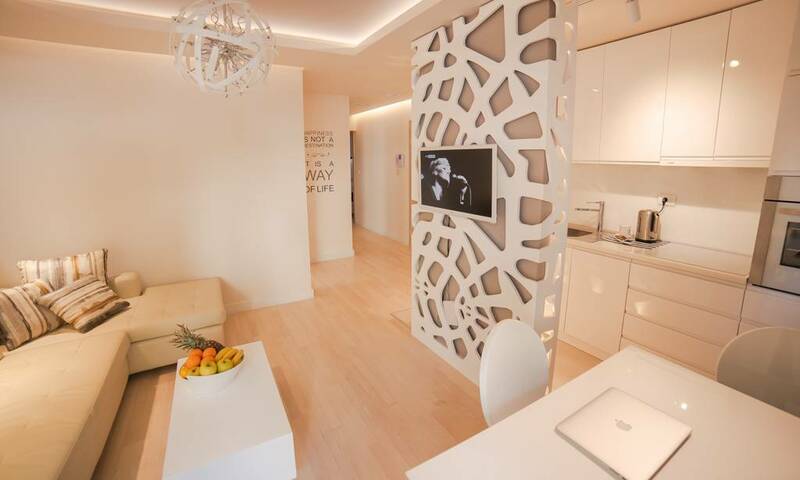 When apartment Best appeared, we thought it would be impossible to exceed the standards of luxury it set. 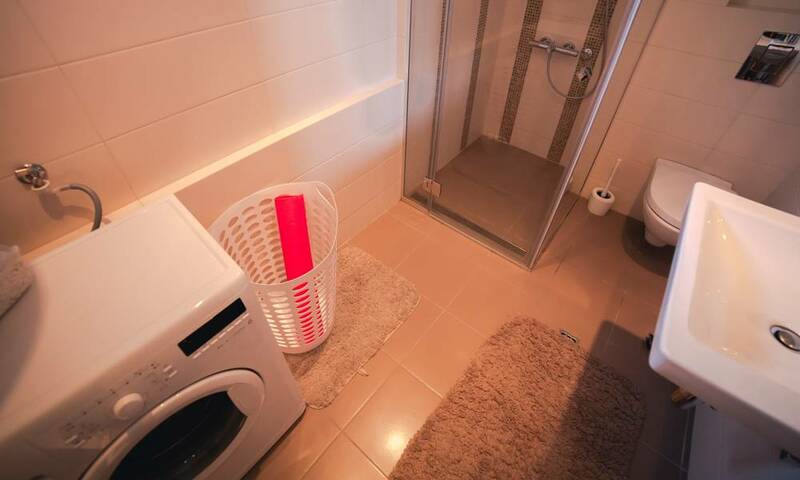 However, apartment Happiness made one step higher. 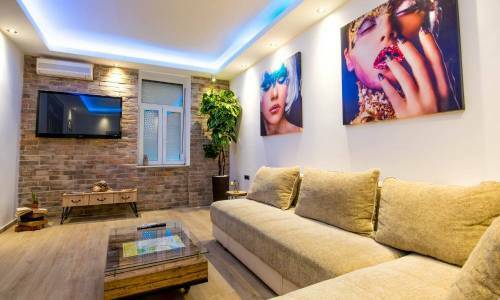 This two room apartment located inside a new building has all you need if you’re a hedonist and comfort seeker. 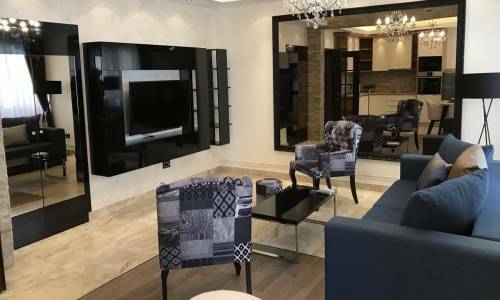 The high quality furniture, modern interior, spacious living room and bedroom, superb bathroom, terrace, garage, parking - these are all the amenities that Happiness offers. 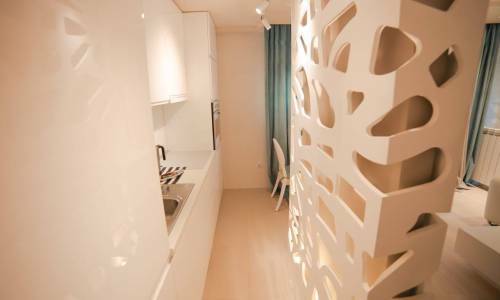 The apartment is intended for 3 adults, or a couple with 2 toddlers. 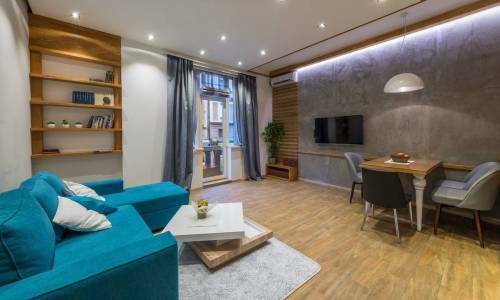 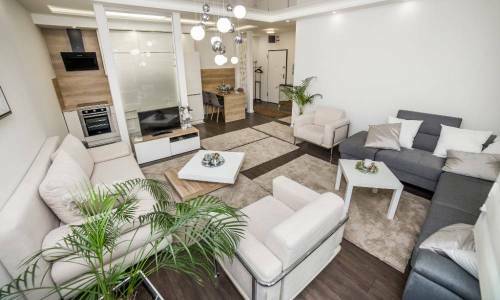 The sofa in the living room can be folded out (baby cot can also be provided), and if you want to enjoy the modern apartment in a brand new building, Happiness is the perfect match. 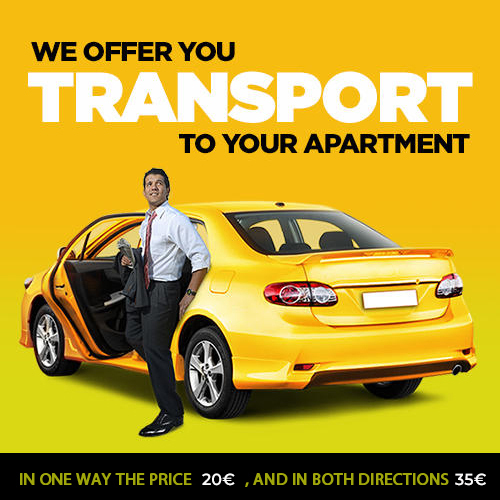 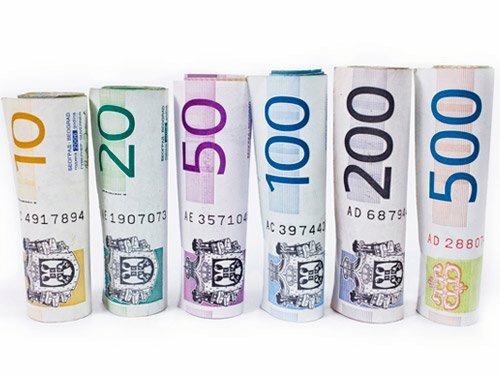 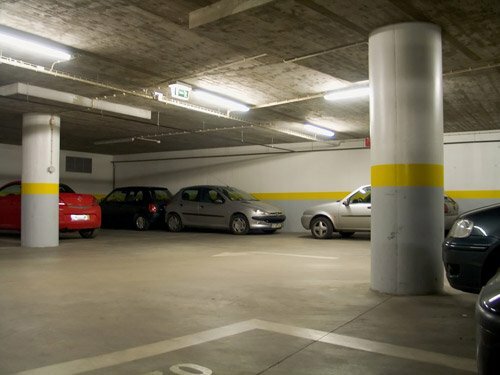 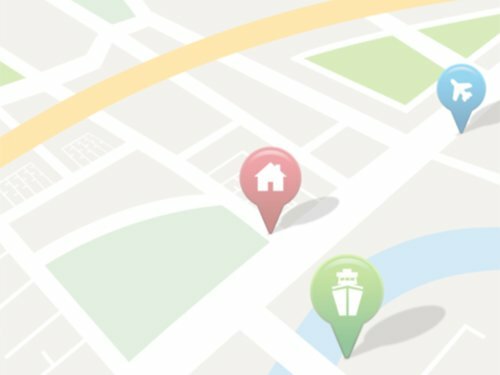 If you're arriving by car, you'll have two options: you can park in a parking lot (charged 8eur), or in a garage (charged 5eur/day) and the car will stay in the garage all the time during your stay.